With new paint & carpet, this magnificent 5 bedroom estate in Diamond Ridge could be the most breathtaking home in Franklin Township! Explore this home via the interactive 3D home tour, complete with floor plans, video & more. 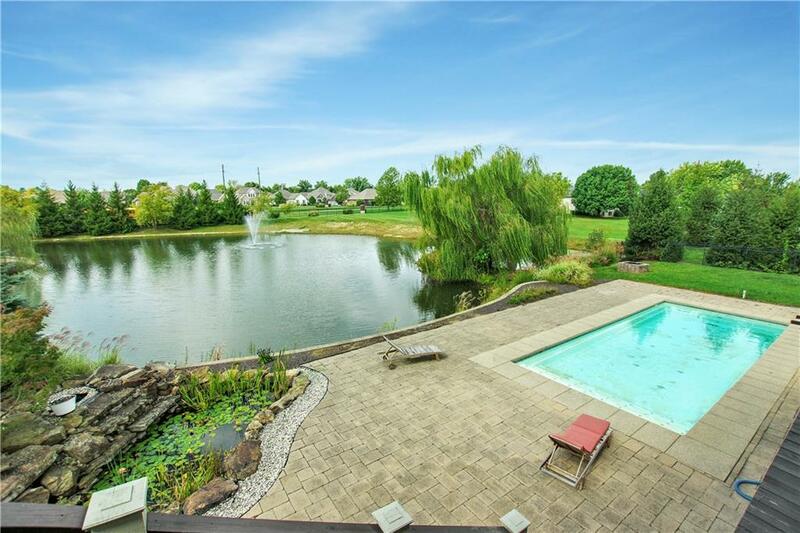 A pool & patio that boasts an outdoor kitchen, upper-level deck, water feature, & beautiful pond view. Catch a movie in the custom-designed home theater or hone your cocktail skills at the full bar with wine cellar. Master suite is fit for a king with gas fireplace, tray ceiling with recessed lighting, massive closet with custom cabinetry, & gorgeous bathroom with a must-see tile shower. Chef's kitchen features nearby family room, breakfast room, formal dining room, & butler's pantry. In a gated community.